Features a simple panel that makes it easy to edit and manage your content. Handles previewing better than other CMS. If you want to speed up Craft, use CDN. Below, you’ll find the detailed instructions on how to integrate CDN with Craft CMS. Log in to your Craft backend. Click on New asset source. Choose a folder for your assets (e.g. 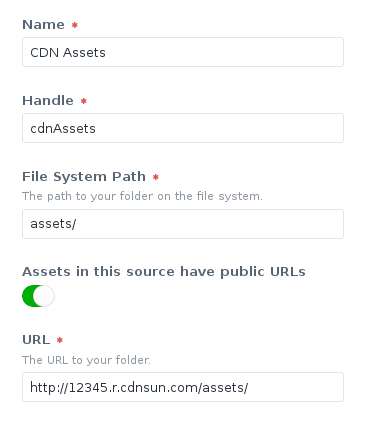 assets/) and fill in your CDN domain as in the picture below. Create the assets folder (i.e. assets/) in your web server document root. Upload images to the just created assets source and integrate them into your website.